eWebSuite is rapidly emerging Software Development, Technology Consulting and Outsourcing service provider company in the global market. eWebSuite is a software developer and technology solutions provider with extensive experience in applying technology to solutions development and outsourcing and technology consulting services, to design and implement quality software products, systems and services. We are dedicated to assist our clients to create enterprise value, maximize their potential and promote innovation in digital economy. The scope of our engagements ranges from multiyear implementation projects to brief assessments. We are expert in delivering software service with upbeat quality and innovative solutions in complex software systems development. eWebSuite have a broad portfolio of solutions that address different industries such as; mobile, cloud, social, analytics, collaboration technologies and next-gen web. 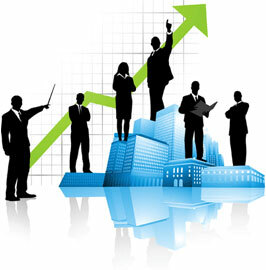 We are dynamic organization to manage business needs effectively to embrace change quickly and cost effectively.